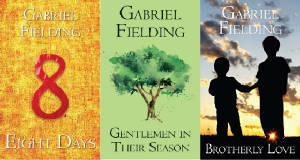 Your complete source of updated information on Gabriel Fielding, pseudonym of Alan Gabriel Barnsley. Here you can read his history, discover his works, find links to research him, contact his family and his official literary rights agents, Peters, Fraser & Dunlop. "It is a matter for grave doubt that Mr. Fielding could write anything from a postcard to a lexicon without perception and grace and brilliance"